Did the paradise F. Scott and Zelda Fitzgerald constantly crave eventually evaporate, or was it ever really there to begin with? This is the question that has made the public fascinated with F. Scot Fitzgerald and his wife Zelda since the roaring ‘20s. It may have been a question that they separately explored before their untimely deaths. It certainly seemed to be the focus of This Side of Paradise, the engaging new musical playing at the Theatre at St. Clements until May 23. 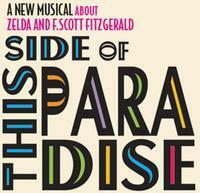 This Side of Paradise examines the lives of F. Scott and Zelda Fitzgerald and finally gives Mrs. Fitzgerald her say. 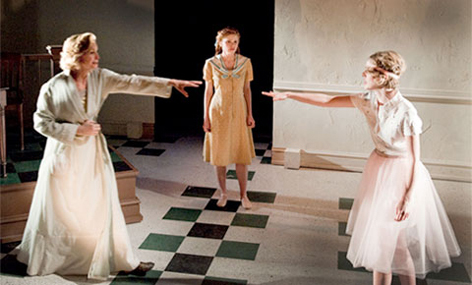 The musical is told through Zelda’s perspective and opens with Zelda in a psychiatric hospital trying to make sense of her life with F. Scott Fitzgerald by obsessively reading his novels. As she opens up to the doctor, played by Michael Sharon, the audience is able to peer into the past and watch as The Fitzgeralds meet, fall in love, become the toast of the jazz age and ultimately grow farther and farther apart. Because the musical is told through Zelda’s eyes, the story is even more fascinating. In each one of F. Scott Fitzgerald’s novels we are able to see his perception of life and love; it is stimulating to witness a piece of fiction that expresses Zelda’s point of view. 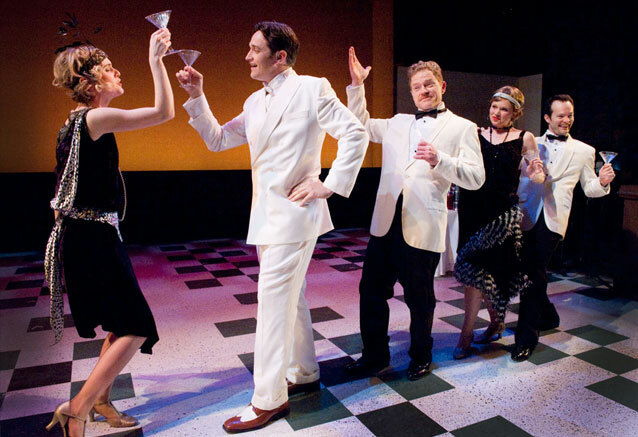 Although the paradise of the Fitzgerald’s world may have been far reaching or even nonexistent, the rapture of their care-free, hedonistic, somewhat reckless yet always intriguing relationship with the public is wonderfully and tragically captured in this production. Born from concept of Nancy Harrow’s jazz compilation Winter Dreams which details in song the relationship between F. Scott and Zelda Fitzgerald, This Side of Paradise is as rich with beautifully crafted music and lyrics as the language in one F. Scott Fitzgerald’s novels. Nancy Harrow really hits the mark. The music in This Side of Paradise truly illustrates the zany, status seeking relationship that the Fitzgerald’s shared as well as the obsession with youth and beauty that Zelda possessed throughout her life. Songs like “Belle of the Ball”, “This Side of Paradise” and “Oh God, I’m Sophisticated” bring the world of the Fitzgerald’s jazz age to life with energy and vigor. “Lost Lady”, “Until It Comes Up Love” and “The Extra Mile” paint a picture of the sadness of unrequited satisfaction. The cast absolutely excels in bringing Nancy Harrow’s music and lyrics and Will Pomerantz’s choreography alive. Maureen Mueller’s voice is a treasure; she is completely mesmerizing as Zelda. Rachel Moulton’s and Michael Shawn Lewis’ portrayal of F. Scott and Young Zelda Fitzgerald is superb. Together they seize every opportunity to show the Fitzgerald’s rollercoaster relationship and captivate the audience the way the real F. Scott and Zelda did in life. Though the part of Scottie, the Fitzgerald’s only child, is small, Mandy Bruno is exhilarating and makes an indelible impression. Her voice is as lively as a breath of fresh air. Although the scene changes can be a bit distracting, This Side of Paradise provides an animated understanding about the complex world of F. Scott and Zelda Fitzgerald that may have been overlooked in books. Co-book writers and creators Nancy Harrow and Will Pomerantz have a stuck musical gold. Whatever happiness Zelda failed to achieve in life the success of this musical has surely made up for it.